Dr. King Li is the dean of the Carle Illinois College of Medicine, which is the world's first engineering-based medical school. 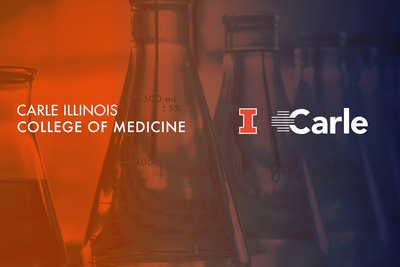 CHAMPAIGN, Ill. — The Carle Illinois College of Medicine, the first engineering-based medical school, has received preliminary accreditation from the Liaison Committee on Medical Education and is recruiting students for its first class. The first cohort of 32 students, who will begin classes in July 2018, will receive full four-year scholarships funded by donors and friends of the college. The college is a partnership between the University of Illinois at Urbana-Champaign and the Carle Health System, based in Urbana. The case-driven, problem-based, active-learning curriculum will integrate engineering principles with medical education and clinical experience from day one. To encourage curiosity and creativity, the college will require students to develop ideas for innovation in each of their clinical rotations. Each student will expand upon one of their ideas as their capstone project. To translate their innovations to market, students will have access to entrepreneurial and intellectual property resources on campus. The faculty include distinguished researchers and educators from across the University of Illinois campus and skilled physicians at Carle Health System. The breadth of expertise will allow students and researchers to innovate many aspects of health care delivery – design, economics and communication, for example – alongside technology and medicine. Admissions information and materials for the M.D. program are available online. The Carle Illinois College of Medicine will host open houses on the Urbana campus Oct. 21 and Nov. 18 for anyone interested in learning about the college. The LCME is the U.S. Department of Education-recognized accrediting body for programs leading to the M.D. degree in the United States and Canada. The Carle Illinois College of Medicine is seeking approval from the Higher Learning Commission to offer the Doctor of Medicine. Approval from the HLC is pending and not guaranteed. Additional information about the HLC can be found here. Direct specific questions to admissions@medicine.illinois.edu. Editor’s notes: To reach Dr. King Li, call 217-300-5700; email kingli@illinois.edu.